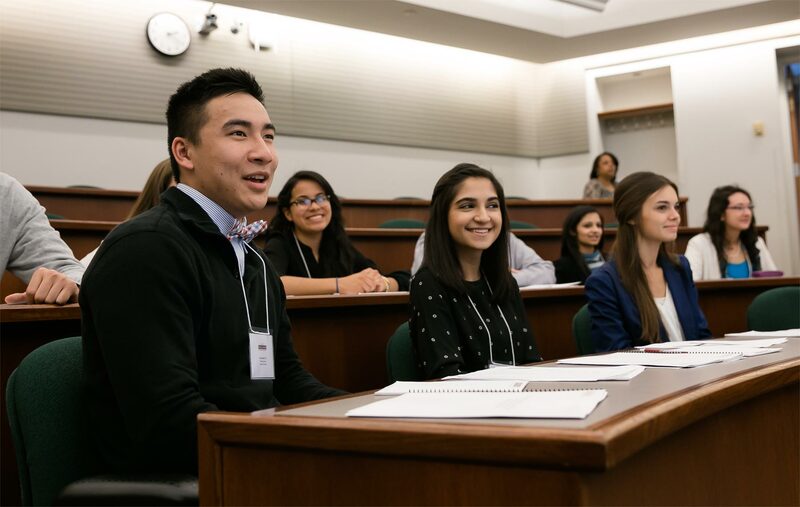 Established in 2014, the annual Pullman Scholar Symposium offers stimulating workshops, professional development, inspirational keynote speakers, and networking opportunities designed to help Pullman Scholars thrive in college and beyond! Each year, scholars and guests enjoy an evening keynote speech from an individual who shares a similar background and inspires with lessons of success. Attending the symposium allows scholars to learn business and life skills from each other, experts, and Pullman Scholar Alumni. See what the event means to Pullman Scholars and Pullman Scholar Alumni. Join us for the 6th Annual Pullman Scholar Symposium on Friday, May 17th. Network with fellow Pullman Scholar Alumni and meet current Pullman Scholars during the Pullman Scholar Alumni Networking Reception starting at 5:45 p.m. Following the reception, the Honorable Leslie Harris will share his story. Please register by May 8th.